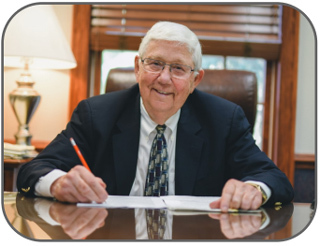 TDH was established in Logan County in 1966, when three local attorneys, Ed Thompson, Bob Dunlap, and Tom Heydinger, met in a bar called "the Pines" in Quincy, Ohio in order to form a diverse legal practice based upon their respective talents and practice areas. This year marks 50 years for TDH and in that time, they have prospered and grown to include the expertise of thirteen attorneys. The TDH team of attorneys include: Thomas H. Heydinger, Robert B. MacDonald Jr., David R. Watkins, Dane M. Hanna, Howard A. Traul II, Terrence G. Stolly, John D. Bodin, Gabe D. Wickline, Christopher J. Moell, Joshua M. Stolly, Zebulon N. Wagner, Connor W. Kinsey, and Melissa A. Marino. 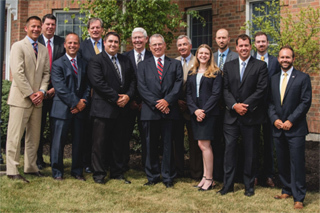 With thirteen attorneys who concentrate their practice in various legal areas, they are able to competently and efficiently provide a whole range of legal services including: litigation (complex and simple), real estate, business transactions, employment law, health care law, personal injury/wrongful death, family law and estate planning, among others. TDH employs a "team first" approach to the practice of law by striving to match up a client's particular legal need with the attorney who is best equipped to competently and efficiently handle that need. They believe that one of their greatest assets as a legal firm is that their experience, training, and expertise allow them to handle sophisticated legal matters usually associated with high priced, larger firms in Columbus, Dayton, or Toledo. "In other words, we charge local hourly rates for sophisticated legal work." They believe that this allows them to provide their clients with a competitive advantage as it relates to their legal budgets. Their primary office is located in Bellefontaine, but they also have offices in West Liberty, Lakeview, and more recently, they opened a Champaign County office in Urbana. While law offices typically do not receive firm based recognition, their individual attorneys are routinely recognized in various ways for their legal accomplishments. For more information on these accomplishments Click Here. The attorneys at TDH believe that Logan County is a great place to live, raise a family, and practice law. They take particular pride in giving back to their community in order to make it a better place to live; whether it is coaching sports teams, volunteering as a member of a local service club, or serving in a leadership role in various non-profit organizations. They highly value their Chamber membership "as it provides not just traditional networking opportunities and access to valuable information, but also increases economic development and activity for which all local businesses benefit, directly or indirectly." We thank Thompson, Dunlap & Heydinger for their 37 years of chamber membership and for their service and commitment to Logan County.